The new teaser for the second half of Breaking Bad season five is Bryan Cranston fully committed to reading the sonnet “Ozymandias” while the camera pans to sandy New Mexico landscapes. I would say it’s the end of non-premium cable drama if Sons of Anarchy, Mad Men and The Walking Dead didn’t exist. No hate. 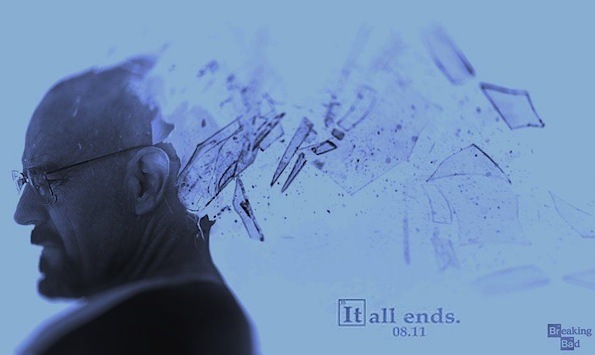 Of course I’ll miss the show, but it just feels like the right time for it to end. Yahoo; thanks for the heads up! Best show not on regular tv. Then best show is the Simpsonsssssssssssssssssssssss%^! Simpsons was in the 90’s, Breaking bad was till. Netflix’s, the new series “Orange is the new Black”. Best acting wrting I have seen in 38 years!